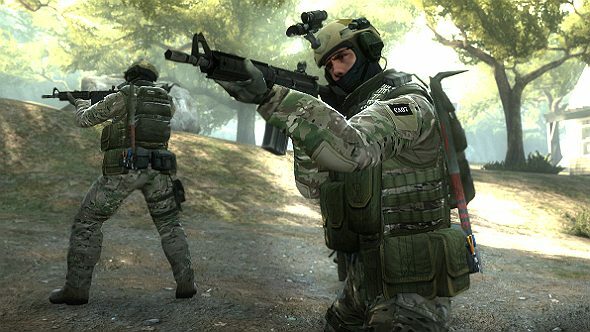 You can now see how many players have been banned from your Counter-Strike: Global Offensive matches thanks to new GDPR laws. Eagle-eyed players noticed you could sift through personal game data for competitive matches, casual matches, and operations last week, and when combined with a handy Google Chrome extension, the data takes on a new meaning. The Ban Checker for Steam extension scours your match data, which shows the leaderboard from each and every game you have played, as well as your overall stats for kills, assists, and deaths, to reveal which players have been game or VAC banned since playing with or against you. It is important to remember though that those labelled with a VAC ban may not have cheated in Counter-Strike but could have in another game. And those with a greyed out VAC status next to their names were banned before you encountered them in matchmaking. Bored of playing the same old shooter? Here are the best FPS games. As someone who has over 1,500 hours in Counter-Strike: Global Offensive, I was intrigued when I came across a Reddit thread discussing the data and wanted to try it out myself. Quite a few people reported seeing a high ban rate from their data and sadly, the trend rang true for me too. Across 1,666 competitive matches, I played against 11,375 others – 1,326 of which were VAC banned and 331 were game banned following our matches equalling a 12% ban rate. After scrolling through my match data though, it became apparent that most of bans took place in 2014 and 2015 – including five players who were VAC banned in one of my first ever matches – way before the all-important prime matchmaking system was introduced. That data is relatively easy to find if you wanted to look for yourself. When viewing your games on Steam, click on Personal Game Data, your name and then on the Competitive Matches option. If you’ve got the Chrome extension added, you’ll need to set a custom API address (your email or Steam profile address will work), load your whole match history and then check your loaded matches for bans. It will take time, so be patient. I’d love to say it’ll be worth the wait, but the whole thing is rather depressing. I tend to watch Counter-Strike more than I play it nowadays, so it’s difficult to compare the results over the years, but one thing is for sure – the game still has a hacking problem and we’re a long way away from solving it.